Finding a restaurant, even in the Macon, that serves the best sweet tea, wasn't a challenge for our followers. Many argue there is only one way to drink tea, sweet and iced. So check out these must-try iced teas that were voted best sweet tea in Middle Georgia. Wash down any Nu-Way meal with their sweet tea poured over Nu-Way's famous shaved ice for a delicious combination. Freshly brewed multiple times daily, McAlister’s, sweet tea is a labor of love. Steeped with premium black tea leaves and served over crystal clear ice with a fresh lemon wedge, 32 oz. 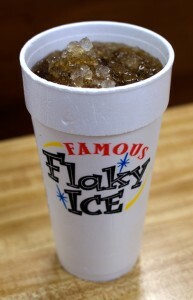 of their famous sweet tea will quench even the hardest earned thirst. 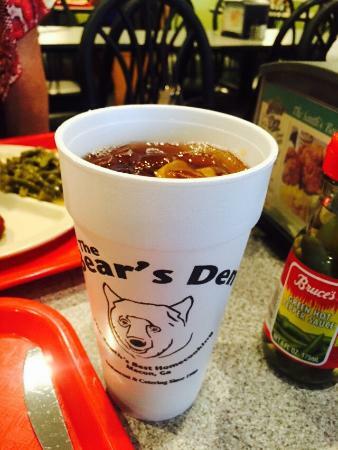 For over 26 years, The Bear's Den has been producing the south's best home cooking and sweet tea. The menu at Bear's Den changes daily, but the sweet tea is always available. The H&H serves up plenty of personality with their sweet tea. The sweet tea from H&H is legendary and just as sweet as Mama Lousie herself.